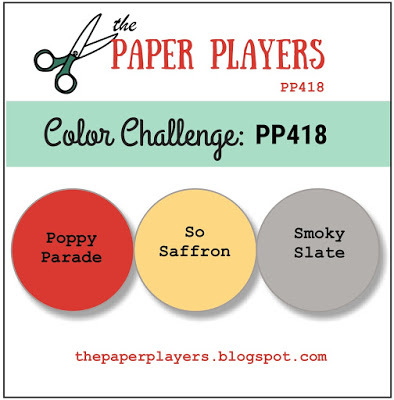 This week at The Paper Players, it's colour challenge time. Laurie's chosen an interesting trio of colours. Timeless Textures is one of my favourite sets, so it's the basis of this card. I love the way the different elements combine together to create a shabby chic kind of look. I paired it up with a new acquisition of mine - the Stitched Label framelits. Aren't they pretty? They give you so many more options for glamming up the sentiment on any card. 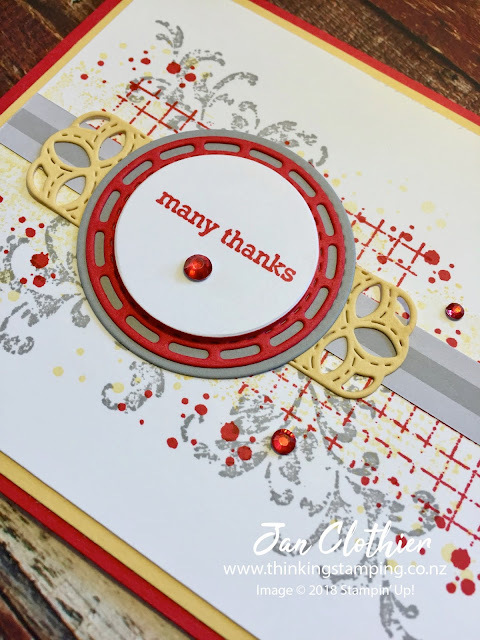 I used the dark Poppy Parade Stampin' Blend to colour a few rhinestones to pop in amongst the grunge spots. Visit the rest of the Paper Players team to see what they've done with this trio, then why not join in with us?